Designer Printed Neosupreme 2nd Row Houndstooth Custom Seat Covers (CSC2PD03FD9808) by Coverking®. 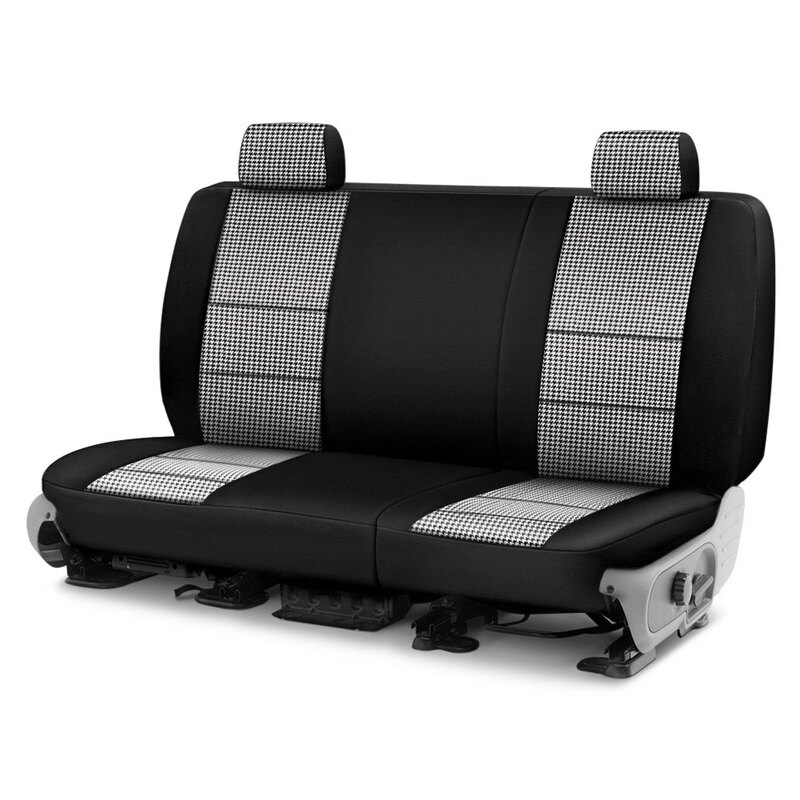 60/40 Split Bench Seat, 60 on Driver Side, with 3 Removable Headrests, without Armrest, without Seat Belt Airbag. Coverking’s Neosupreme seat covers now features the Printed Series, a collection of original patterns exclusive to their brand. For the racing purist, they have available the carbon fiber or the chrome diamond print. These seat covers are also quite versatile in function as each cover is made from synthetic polyester known for its unique softness and gentle feel. An installation kit is included, free of charge, with these seat covers.